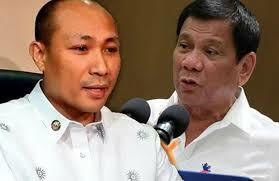 In the fight of President Rodrigo Duterte to eliminate officials with luxurious expenses travelling abroad, Magdalo party-list Representative Gary Alejano lambasted Duterte on his flight to Hongkong with no presidential business, a personal and wasteful junket, despite the entourage of Duterte is to meet Filipino community. "Aside from giving a speech to about 2,000 mostly Filipino domestic helpers in Hong Kong and supposedly dining in a fastfood chain, all for PR purposes, what has his so-called ‘working visit’ achieved for the benefit of our country and people? Nothing!” Alejano said in a press statement. Alejano called it "hyprocrisy in the highest order" when Duterte sacked some of his officials for going on overseas junkets or trips and then doing the same himself in Hong Kong.